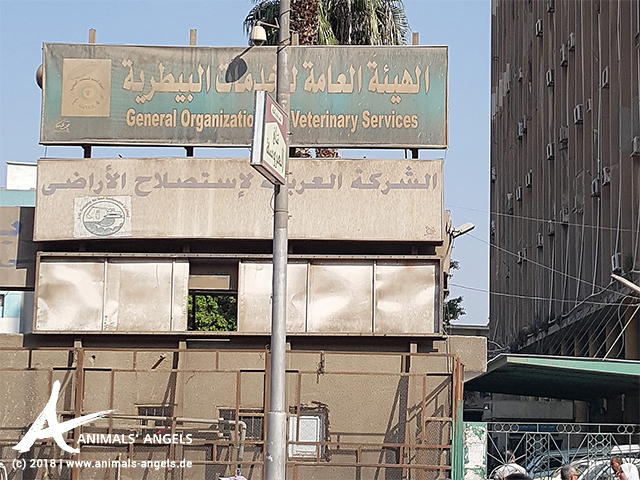 16-10-2018 Animal Transports Camels Created by Animals' Angels e. V.
Animals' Angels attends a meeting at the central veterinary authority in Cairo. We hand over our report on camel transports in the Middle East to the Chief Veterinarian for Quarantine and Control and discuss the serious animal welfare problems we have documented. 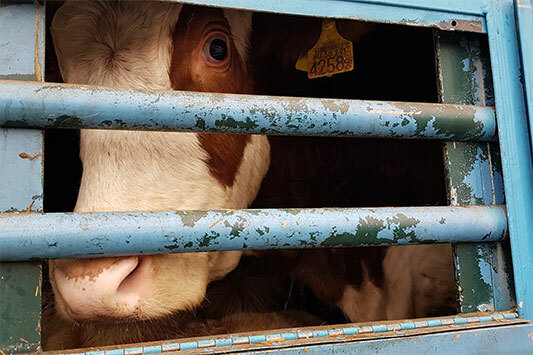 The central veterinary authority is located in a building that unfortunately reflects the conditions throughout the country: It is in a catastrophic state and in need of renovation and we ask ourselves how work can be done there at all. At least we can talk to the responsible chief veterinarian about the blatant animal welfare problems. We show him also our five-month documentation on this topic. Unfortunately he doesn't want to see it through to the end and shows only moderate enthusiasm for our suggestion to offer training courses for camel traders at the camel market in Birqash. 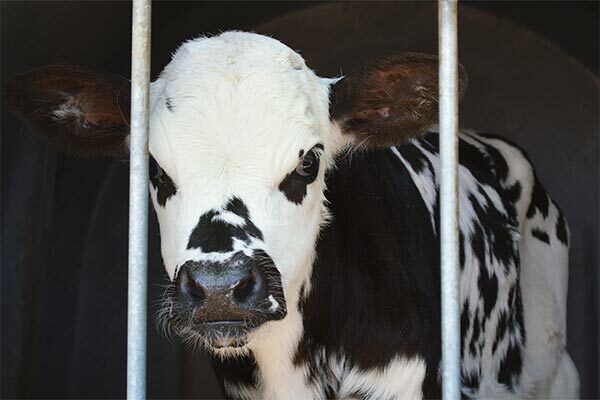 It saddens us that the fate of the animals depends on people who are not interested in them as personalities in the least. At least he agrees that we can send him an animal welfare project plan regarding the camels. We hope very much for its official permission on the part of the veterinary authority. 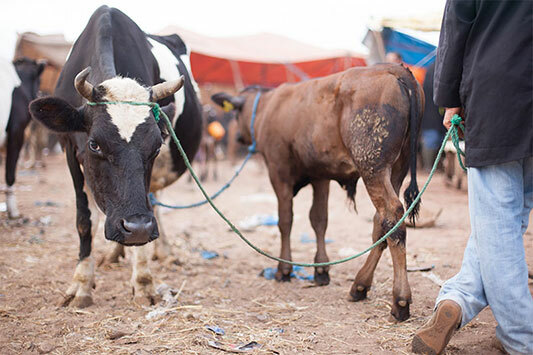 Unfortunately, however, we also know that there is an extremely long way ahead of us even in order to alleviate, let alone end, the suffering of the camels there. But it would be an important and so urgently needed start!